Place of Birth: Rochester, New York, U.S.
Jon Jones is an American professional mixed martial artist. He is signed with the Ultimate Fighting Championship (UFC). He fights in the light heavyweight division. He stands at 6 feet 4 inches tall and has a background in wrestling. Jon is also proficient in striking with an unpredictable Muay Thai style. In his repertoire, Jones possesses spinning back elbows, flying knees, and dynamic takedowns. Jon attended Junior College, where he had a decorated wrestling career, becoming an NJCAA All-American. He trained in Albuquerque, New Mexico under Greg Jackson. 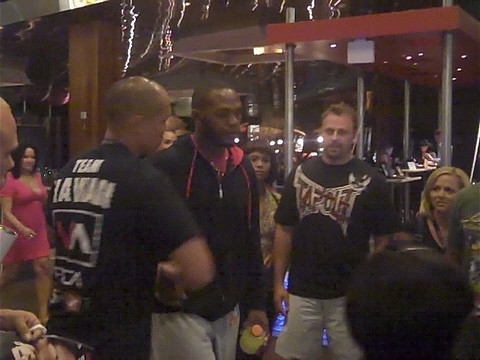 Jon is one of many African-American MMA fighters gaining notoriety in the UFC. He is a Christian. He has four children, including three with his fiancée Jessie. Strengths: Take downs, ground and pound with elbows, unusual angles when striking, a nasty guillotine choke. Weaknesses: fighting off his back, taking leg kicks. Im putting my money on Jones to win against Rampage this weekend for the UFC title. The only way Rampage takes it is if Rampage can land a heavy shot on Jones’s untested chin. Nevertheless I think Jones will eventually take Rampage down and pound him out. Great fighter. Really fun to watch.